The fellowship, recreation, and social activities reflect the interest and talents of its members. Other community programs have included arranging monthly community movie nights and potluck dinners, organizing a community garden, the construction of the Grange Kitchen, coordinating a Summer Arts Program, holding benefit events for the Schwartz Rehabilitation Center, Child & Family Services of New Bedford, Dartmouth Veteran’s Memorial Park, and Heifer Project International. All Grange events are open to the public and anyone may join the Grange email list. Grange sponsored events shown on the calendar at the right appear in more detail in newsletters that are sent over email twice each month. 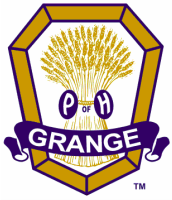 Grange members plan regular Grange meetings and traditional community events throughout the year. These include a Lobster Bake in July, a two-day Grange Fair in September, and a free public Christmas Concert in December. A favorite has been our free, monthly Farmer Film & Potluck nights held on the first Friday of every month from November to March. Over the year, additional educational programs about gardening, cooking or other topics are planned. Events can be sponsored by the Grange in partnership with another community organization. Some Grange events are fundraisers and others are free public programs. All events are organized to serve the community in some way. Join our email list to receive the latest information about what's happening at the Dartmouth Grange. Volunteers welcome in the planning and staffing of many events.